and quality for clinical trials. Oncology trials and their imaging protocols rely on consistent, high-quality data and rigorous imaging analysis. After nearly two decades of research and development at the Mass General Department of Radiology, we are able to provide a wide array of consistent, reliable and timely imaging services that support clinical trials and patient care for institutions and organizations worldwide. Multi-modality tumor measurement to enhance the efficiency and quality of image-based oncology clinical trials. Helping cancer centers across the country produce timely, high-quality imaging data for enhanced clinical trials and patient care. Over 100 Mass General radiologists offering a full spectrum of imaging-related services to support the success of clinical trials. Providing reliable volumetric analyses of lesions for patients with NF1, NF2 and schwannomatosis at Mass General and clinics worldwide. The Tumor Imaging Metrics Core (TIMC) is a collaborative effort between Mass General, Brigham and Women’s Hospital and the Dana-Farber Cancer Institute to serve the clinical trials imaging needs of the five Harvard hospitals of the Dana-Farber/Harvard Cancer Center (DF/HCC). As an independent core lab, TIMC provides multi-modality tumor measurements to enhance the efficiency and quality of image-based oncology clinical trials. TIMC’s primary services include annotated image capture of radiological scans from local or remote sites, quantitative and qualitative assessment of tumors according to trial protocol and consultation for protocol design. To learn more, please visit the Tumor Imaging Metrics Core website. Today’s oncology trials demand quick turnaround, consistent high-quality data and rigorous, protocol-compliant imaging analysis. Precision Imaging Metrics was developed by the radiology and imaging-technology leaders at the Dana-Farber/Harvard Cancer Center to help cancer centers across the country produce timely, high-quality imaging data for enhanced clinical trials and patient care. To learn more, please visit the Precision Imaging Metrics website. 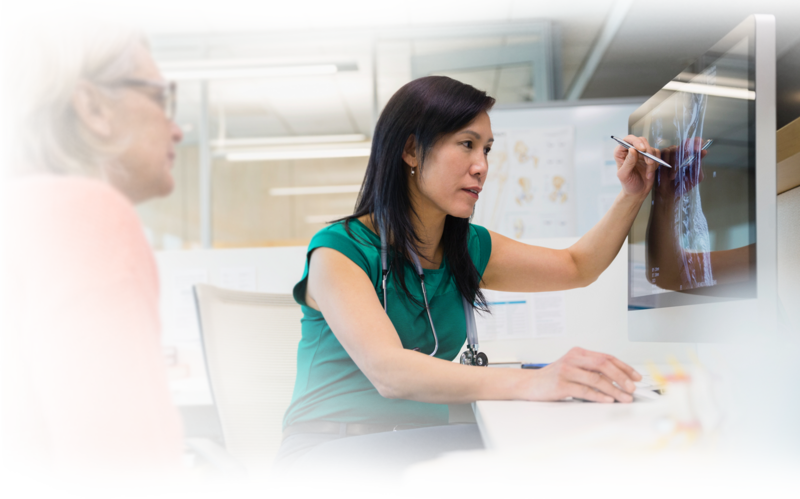 To support the success of clinical trials with imaging endpoints, the Mass General Department of Radiology offers a full spectrum of imaging-related services to contract research organizations, core imaging labs, biopharmaceutical companies and biotechnology corporations. With over 20 years of clinical trial experience, we understand the unique needs of CROs and pharmaceutical companies. To learn more, please visit the Central Reviewer Services website. The NF Tumor Metrics Service assists in treatment planning and response monitoring for patients with NF1, NF2 and schwannomatosis through use of advanced imaging analysis to evaluate changes in longitudinal tumor burden. Reliable volumetric analyses of lesions on MR images are provided for patients at Mass General, as well as neurofibromatosis clinics around the country and worldwide. To learn more, please visit the NF Tumor Metrics Service website.